Among today’s most compelling dancemakers, Crystal Pite uses both narrative and expressive elements to create riveting dance theater works. In a PillowTalk in 2011, choreographer and dancer Crystal Pite told a story of discovery—the kind of discovery that happens when you didn’t even realize you don’t know something. And then that new information forever changes you. The discovery came when Pite, at that time performing with Ballet British Columbia, first met choreographer William Forsythe as he came to set a work on the company. As a highly trained ballerina, Pite’s dancing was shaped by classical ballet’s formal organization of the body that stems from court dances of 18th century France. Forsythe introduced her to what she described as “back space”—that is, the world of motion that lay untapped behind her. His choreography uses the head and spine as mobile and active parts of the body, instead of quietly riding on a dancing lower body. Her understanding of the ballet body was altered by her experience. Not long after working with him in Canada, Pite began to dance with Forsythe’s Ballet Frankfurt, drawn to his contemporary ballet sensibility and his use of improvisation in the choreographic process. This microcosm of a story shows how Pite, now an internationally renowned choreographer, was set on a dance path because of her relationship with Forsythe as an artistic mentor. She learned from him and then set off on a path of her own. She has said that she began choreographing because explorations she craved as a dancer weren’t being met. Judith Mackrell, “Crystal Pite’s Kidd Pivot.” Guardian, September 18, 2009 Another Canadian choreographer with links to both William Forsythe and Ballet BC is Emily Molnar. I've got an obsession with narrative, [which is] kind of a taboo subject." Pite has a long and rich relationship with Jacob’s Pillow, as a dancer (first with Ballet BC), a choreographer, an artistic director, and a Jacob’s Pillow Dance Award winner. At the Pillow, Hubbard Street Dance Chicago and Cedar Lake Contemporary Ballet have performed her work. And her own company, Kidd Pivot, has performed to wild popular and critical acclaim, including the evening-length Dark Matters presented on two consecutive seasons. In their first Pillow appearance in 2009, Kidd Pivot danced the evening-length Lost Action (2009). When the piece was seen in London, Judith Mackrell reviewed it for the Guardian. In some ways, Lost Action plays out like a crime movie. Its motivating action—a violent struggle that leaves a man dead—is played out over and over again, as if the choreography were hunting out clues or a killer. Yet with each repeat, the movement registers a new key…Pite has a rare gift for orchestrating bodies, part of the tension in Lost Action comes from wondering how she can top each new invention. But she has an even rarer gift for conveying emotion. Audiences were taken with the dancing, the choreography, the choreographer, and the company. In an interview for the Jacob’s Pillow Archives in 2012, Pite talked about naming her company. Kidd Pivot returned in 2011 and 2012 with Dark Matters. The evening length work combines dance theatre and abstract contemporary dance, and is in turn dark and humorous, elegiac and virulent, with singularly stunning dancing by the performers. The dance begins with an exquisitely rendered relationship between a puppetmaker and his puppet. Four dancers clothed in black manipulate the puppet as the story unfolds. The second act, with theatrical artifice stripped away, highlights the exquisite dancing Pite’s choreography demands. In the 2012 performance—expected to be the work’s final presentation anywhere—Pite returned to the role she had created for herself. Now headquartered in both Frankfurt and Vancouver, Kidd Pivot is under the direction of Canadian choreographer Crystal Pite, recipient of the 2011 Jacob’s Pillow Dance Award. Pite has choreographed works for Nederlands Dans Theater, Cullberg Ballet, Ballett Frankfurt, and other companies, and she has created and performed under the banner of her own company since 2001. The Company made its Pillow debut with Lost Action in 2009. She is a former dancer with Ballet British Columbia and Ballett Frankfurt, where she honed her choreographic craft under the eye of company director William Forsythe. Pite’s Dark Matters was first presented at the Pillow in 2011, with a chilling duet between Peter Chu and a manipulative puppet. The performance excerpted here marked the final presentation anywhere of Dark Matters, and Crystal Pite stepped back into the role that she had originated for one last time. In another of her works, Grace Engine (2012), performed by Cedar Lake Contemporary Ballet in 2013, Pite fragments the narrative, making the dancers less specific characters, and more expressive of ideas and emotions. Grace Engine is suffused with Pite’s ability to use a balletic sensibility to suggest a narrative without being limited in the kinds of stories that can be told. She pushes the verticality of the ballet body off-center, with shifting points of gravity. Gorgeous unison dancing creates a community at times, while at other times it feels more like a crowd. Three central duets—first two men, then a man and a woman, then two women—become not about one person lifting another; rather moments of contact between people. Pite has spent years reflecting on her dance, defining her artistic voice, and developing specific approaches to the choreographic process. She talked about some of those elements in the PillowTalk titled “Crystal Pite Goes Global” with Philip Szporer. 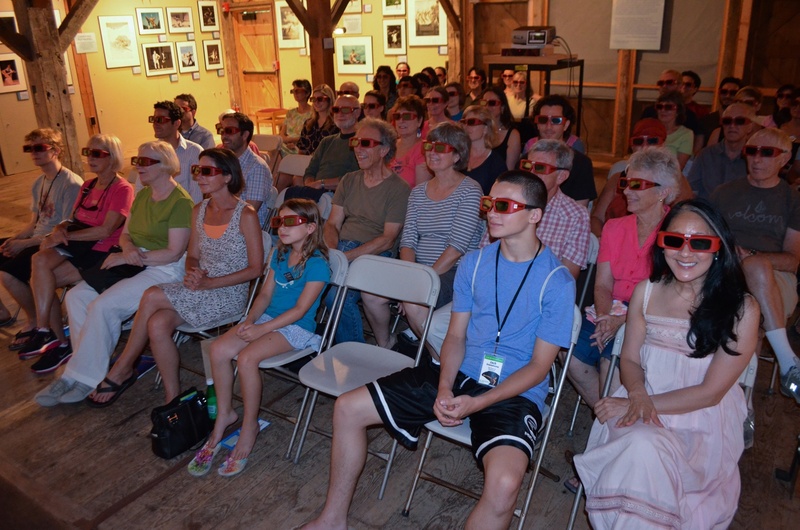 Szporer and Pite later collaborated with Marlene Millar on a 3-D film version of Lost Action, called Lost Action: Trace, which was screened at the Pillow in 2012, complete with 3-D glasses. Hubbard Street Dance Chicago presented a stunning Pite solo, an excerpt of A Picture of You Falling (2008) in 2016. Accompanied by a matter-of-fact recording of a man’s voice describing the action, the solo is a tour de force of falling, catching, off center balancing, and momentum.